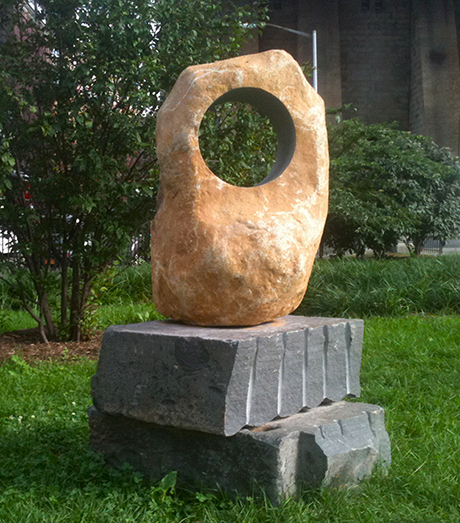 I make sculptures and fountains using natural rocks recovered from construction sites in New York City. When work crews break ground, rocks are considered obstacles and are removed to make room for the foundations of buildings, and it is these rocks that I salvage for my art. Rescuing the rock of the city, I negotiate its removal from work sites. Using rock that is routinely exported from the city to landfills, I am reclaiming a piece of submerged geological and urban history.